is a student of Jazz and German at Portland State University. He also plays with the jazz quartet, Gentle Jazz, and writes and records his original music. In his leisure time, he loves playing basketball, composing, cooking and spending time with his beautiful girlfriend, Stephanie. was practically born on the stage! She started dancing at the age of four, and has continued through today, appearing at PSU. She acted all through Junior High and Beaverton High, appearing in Singin' in the Rain. She was most recently seen in the role of Meg in A Lie of the Mind at Mount Hood Community College. Sydne is also a writer/songwriter. is a costume and puppet designer for theatre, festivals and animated film. Some design credits include Trojan Women, Charlie and the Chocolate Factory, Three Sisters and I am My Own Wife. Sarah received a 2009 Drammy award for her design work on James and The Giant Peach and Eurydice. She attended University of Oregon, where she received a BS in Theatrical Production Design and a BFA in Fiber Arts. For more information, visit www.SarahGahagan.com. es natural de Cádiz (España) y ha vivido en Portland desde el 2003. Ha trabajado en la industria del turismo haciendo sketches de humor y de baile en diversos hoteles de Andalucía y de las Islas Canarias. Hoy en día trabaja como maestro de español en una escuela primaria y esta muy agradecido al Milagro de po-der participar en una obra de un autor de su propia tierra como es García Lorca. Jaime Galán is a native of Cádiz, Spain, and has lived in Portland since 2003. He has worked in the tourism industry performing comedy and dance at a variety of hotels in Andalucía and the Canary Islands. He is currently working as a Spanish teacher in an elementary school and is grateful to the Miracle to be able to participate in a play by an author from his homeland such as García Lorca. was last seen on stage as Owen in last spring's popular production of The Foreigner at the Portland Repertory. Other recent roles include Perelli in Requiem for a Heavyweight, Cornelius in The Matchmaker, and Starbuck in The Rainmaker, all at the Sumus Theatre. He is a graduate of the University of Oregon with a degree in Theatre and has also studied at the University of Southern California. In addition to acting, he is a producer, director and award-winning playwright. got off to a big start in theatre at the small age of 3, performing her ONE WOMAN SHOW at the New Jersey "Shoprite," singing and dancing her way into the hearts of Saturday "grocery groupies." In her spare time she lives quietly, eats well, and listens to music every now and then. was born in Mexico and has lived in the U.S. for 13 years. David likes to write poetry, songs and has enjoyed being a part of Miracle Theatre’s Pluma Nueva program for the past three years. David is a graduate of Madison High School and The Road to Xibalbá is his professional stage debut. 10th Grade, Parkrose High School. Soy el único mejor estudiante mexicano de Parkrose High School. Me gusta actuar y quiero ser un actor profesional. Ya llevo tres años actuando. También me gusta jugar soccer y basketball. También le echo ganas para ser un jugador profesional de soccer. Me encanta estudiar porque quiero tener un futuro mejor, estoy obsesionado estudiando. Me encanta escribir canciones, poemas, poesías. Le voy a echar muchas ganas para que mis sueños se hagan realidad. La suerte va tener la mujer que se case conmigo porque va tener todo que una mujer desea tener. is a senior at David Douglas High School. She has been working at Miracle Theatre since Pluma Nueva started in 2004. She’s learned a lot of things since then, and thanks Olga Sanchez for this special opportunity to create the character of Gracie. She says it is a different, exciting and intensive play, but she’s very happy to be in it. Christian García is originally from Michoa-can, Mexico. At Miracle, he has performed twice in El Día de los Muertos Festival. He was also seen in Fuente Ovejuna as Flortuño, and this is his second appearance with Teatro Español. “The art of theatre is like a dream of colors, of rainbows, where unexpected emotions are born at any moment.” That’s what it is for Christian, he says — simply that. is the present Board president of MTG, in his second year of office. He has appeared in Boxcar, My Visits with MGM, Alone in the Water and most recently, Heroes & Saints, all produced by the Miracle theatre. Currently he is employed by the state of Oregon. is a director, playwright and actor. He most recently directed the world premiere of Broken Promises by Olga Sanchez for Teatro Milagro and has worked extensively with elementary, high school and college students directing and developing new works for student performances. He served as the 2012-2013 guest playwright for CalArts’ Community Arts Partnership Program where his adaptation of Fuente Ovejuna was performed at REDCAT Theatre located at Walt Disney Concert Hall. In 2015, he wrote Odessa an adaptation of Homer’s The Odyssey for Profile Theatre’s Educational Outreach Program, which was performed in conjunction with Beaumont Middle School. Francisco is a member of Actor’s Equity and SAG/AFTRA and last appeared on stage in the title role of Romeo in Romeo and Juliet at the Shakespeare Center of Los Angeles and in the world premier of Jose Casas’ All Brown All Chingon at the Hudson Theater. He will also be appearing in Andrew Haigh’s upcoming feature film Lean on Pete. Francisco received his Bachelor’s degree from Portland State University and his Master’s degree from Cal State University, Los Angeles. For Merri. After studying at Southern Oregon University and performing at the Oregon Shakespeare Festival, Jimmy is happy to be back in Portland where he began his acting career years ago on the stages of Milagro, Stark Raving Theater and Portland Center Stage. In Southern Oregon, he performed a variety of roles working with such esteemed directors as Bill Rauch, Libby Appel, and Pat Patton to name a few. He has most recently performed in ART's A Civil War Christmas, Profile Theater's Elliot: A Soldier's Fugue, and can next be found at Profile Theatre’s 26 Miles. Jimmy García, después de haber estudiado en la Southern Oregon University y haberse presentado en Oregon Shakespeare Festival, Jimmy está feliz de estar de vuelta en Portland donde comenzó su carrera en la actuación años atrás en los escenarios de Milagro, Stark Raving Theater and Portland Center Stage. En el sur de Oregon, interpretó un variedad de papeles y trabajó con estimados directores como Bill Rauch, Libby Appel, y Pat Patton, por nombrar algunos. Recientemente, actuó en las obras A Civil War Christmas (ART), Elliot: A Soldier's Fugue (Profile Theater), y lo podrán ver próximamente en la obra 26 Miles (Profile Theatre). is a graduate of Lewis and Clark College, Theatre Arts and minor in Latin American Studies. She has worked in theatre companies throughout the county including Teatro La Tea in New York. For the last year Garcia has been working on the Miracle Mainstage as a stage manager and performer in many productions such as Día de los Muertos Festival (1999), True History of Coca Cola in Mexico, New Accents and most recently Día de los Muertos Festival (2000). es originaria de la Cd. de México y ahora residente en Portland desde hace varios años. Mario ha trabajado en la comunidad especialmente con los jóvenes como entrenador de futbol. También ha participado en varios eventos culturales en las escuelas del Distrito de Portland al igual que en la iglesia. En el año 2006, empezó su participación en las pastorelas motivando así su gusto por la actuación. Agradezca a Dios por este sueño. Gracias a Nelda y todo su equipo por la oportunidad. Mario López García is originally from Mexico City and has lived in Portland for several years. Mario has worked in the community, especially with young adults as a soccer coach. He has also participated in a variety of cultural events in the Portland School District as well as his church. In 2006, he began to participate in pastorelas, which led him to acting. He thanks God for this dream. Thanks to Nelda and the whole team for the opportunity. is a theater director, theorist and founder of the renowned Colombian theater ensemble Teatro La Candelaria, one of the most important theater groups in Latin America. La Candelaria (http://www.teatrolacandelaria.org.co) was founded in 1966 by a group of independent artists and intellectuals who came from experimental theater and the broader Colombian cultural movement. Directed by Santiago García, La Candelaria is one of Colombian theater’s most innovative agents, modernizing national drama while addressing popular audiences. By means of an ongoing exploration of national folklore, situations and characters, they have created some of Colombia’s most compelling plays, some of them through the method of creación colectiva (collective creation), addressing the acute social and political problems of their society. At the same time, they fostered the creation of Corporación Colombiana del Teatro and have developed a number of theoretical works that reflect upon dramatic creation, its methods and languages. La Candelaria is committed to repertoire, experimentation and discussion as fundamental elements of artistic creation. hails from Tracey, California and is the father of four children. While living in California, he studied at San Joaquin Delta College in correctional science and worked for the State Fire Marshals Office. As a boy he discovered that he had the gift of sight when a feeling came over him telling him to pull his brother moments before he approached a big pit that served as a bear trap. His sight has kept him out of trouble and led him to the Miracle Theatre last summer when he appeared in the Hispanic Playreading Series at Portland State. born in Klamath Falls, is of French-Canadian and Klamath Indian Roots. She is a student at Portland Community College, where she is studying to become a nutritionist. This marks Cherie's debut with the Miracle Theatre. previously performed at Milagro as pianist for Jessie Marquez’s Postcards from Cuba. He also was Music Director for Gracie and the Atom at Artists Repertory Theater in Portland and All Night Strut at the Claridge Casino in Atlantic City. Clay Giberson ha trabajado en Milagro como pianista para la producción de Postcards from Cuba, de Jessie Márquez. Además fue el director de música para Gracie and the Atom, en el Artists Repertory Theatre en Portland y All Night Strut en el Claridge Casino en la ciudad Atlantic. appears in her third show with the Miracle. She has studied at the American Academy of Dramatic Arts in Los Angeles and is working towards her BA in theatre at Portland State University. When not practicing her craft, Joan enjoys all the fine things life has to offer. Originally from Houston, Tx, Joseph Gibson has been acting professionally in Portland for six years. He has performed in several stage productions, toured his solo show, and appeared on NBC 's Grimm. In addition to touring Hands Up! with the Red Door Project this last year, Joseph was last seen onstage in An Octoroon at Artists Repertory Theatre and The Events at Third Rail Repertory Theatre. Joseph is a proud member of Actor's Equity Association and has served on the Portland Area AEA Liaison Committee. is a Mexican actor and playwright graduated with honors in dramatic literature and theater from the National Autonomous University of Mexico. He received the National Youth Award in 1985 and a grant from the National System of Creators. He has been the director of the National Center for Theatre Research "Rodolfo Usigli" (CITRU), the Department of Theatre and Dance, UNAM, and the College of Theatre de la UNAM. He has also been the director of the Hellenic Cultural Center and was one of the founders and director of theater research journal Documenta-CITRU. His work has been produce in Mexico, USA, Canada, El Salvador, Colombia, Bolivia, Portugal and Spain. This is Nicole's sixth show at the Miracle this season, and she is grateful to be closing the season with this very special show. It is a joy to witness the beautiful journey of these people as they seek something better in a new world. Nicole makes the world better partly through her involvement in the Rexella Stupid Art Collective, a group of writers, musicians, visual artists and theater practitioners based in SE Portland. Nicole thanks her cast and crew for their work and patience. was was last seen at Miracle in Boomcracklefly, and before that El Quijote, La Carpa Calavera and La Carpa del Ausente. Other favorite productions include: Biglittethings and Frogz (Imago Theater), A Midsummer Night’s Dream (Willamette Shakespeare Co), Alice in Wonderland (Nomadic Theater), Brecht: The Jewish Wife & The Informer (Quick & Dirty Art Project) and Killing Time (The 3rd Floor). She has appeared on film in The Falls and Bottled Youth. In the community, Emily is busy teaching with PlayWrite, and devising new work — such as her current project Watched — that explores human relationships with technology. This is Kelly's first time performing with Milagro. She has a BA in theater from the University of Oregon and has been acting in Portland since 2006. Kelly has most recently appeared in Noises Off with Third Rail Repertory. Other Portland credits include Profile Theatre, Leverage, Northwest Classical, Lakewood Theatre and a slew of commercial work. first appeared with the Miracle in Teatro Milagro's 1992 production of The Truer Story of Columbus and went on to play in Boxcar and The Miser of Mexico. He also appeared in Earth Summit and directed and acted in King of the Fruit People with Teatro Milagro in the mid-1990s. In the intervening years, he has appeared in numerous plays and musicals with Corvallis Community Theatre, Albany Civic Theatre and Actor's Cabaret Eugene before returning to Portland. Upon returning to Portland, he played Lord Capulet in Romeo and Juliet at his alma mater, Concordia University. Michael last appeared on the Miracle Mainstage in last season's Christmas Crisis in Las Cruces as Paco, the elote toting circus freak. He also appeared as Conrade in the Portland Actor's Ensemble's Shakespeare-in-the-parks production of Much Ado About Nothing last summer. When he's not onstage, Dr. Godsey is a research scientist in structural biochemistry at Oregon Health & Science University, where he earned his Ph.D. in December, just before marrying his Lady Capulet, Marci Cochran, who works at Tygres Heart Shakespeare Company. Shira Goldeen is a native of Charlottesville, VA. She studied Theatre Arts at Virginia Tech where she worked on all things technical and production. Favorite production credits include It’s a Wonderful Life (ART); Austicias (Milagro); Guys and Dolls (LiveArts); Putnam County Spelling Bee, Boeing Boeing (Virginia Tech); and Mary Poppins (PacRep). Shira has a love for all dogs, brussels sprouts, and salsa dancing. She is excited to be back at Milagro, her first theatre home in Portland. Sara Fay Goldman is super glad to be back on the Milagro stage! She has participated in three Day of the Dead celebrations (directors Olga Sanchez and Arturo Martinini) as well as many productions with Sacha Reich as part of Artists in Residence, Jewish Theatre Collaborative. Sara Fay is also a proud member of Fuse Theatre Ensemble, celebrating their 10 year anniversary next season, starting with this Cabaret this spring at the Funhouse Lounge! Thanks to Robi and the cast for such patience while I babble. With love, for P and E.
Sara Fay Goldman está muy contenta de regresar a Milagro. Ella ha participado en tres producciones de Día de Muertos (con directores Olga Sánchez y Arturo Martinini) y muchas producciones con Sacha Reich como parte del los artistas en residencia del Jewish Theatre Collaborative. Sara Fay es miembro del Fuse Theatre Ensemble, quienes comienzan su celebración del 10mo aniversario con la producción de Cabaret esta primavera en el Funhouse Lounge. Muchas gracias a Robi y el resto del elenco. Con amor, para P y E.
is currently the Artistic Director of Portland Theatre Works, an organization dedicated exclusively to the development of new work for theatre. Prior to moving to Portland he received his M.F.A. in Directing from the University of Iowa, where he was also a dramaturg in the Playwright’s Workshop. He has directed over a dozen world premiere productions, as well as productions of classical and contemporary plays. was born in Argentina and started his studies of classical guitar, with Prof. Gladys Colantonio at "Escuela Argentina de Guitarra" when he was 8 years old. Since 1985 he studied at the National School of Music "Carlos López Bouchardo" with Prof. Oscar Olmedo and Prof. Ricardo Elías. He later studied harmony and improvisation with the guitarists Juan Barrueco and Armando Alonso. In 1994 he took part in the "Berklee Seminar in Argentina" with the American guitarist, Bruce Barlett, later taking lessons in with L.A. jazz guitarist, Sid Jacobs. Daniel has been part of the duo "Dos guitarras de Tango" together with Martín Bendetti, which has performed in several Buenos Aires venues. In 1999, he took part as a composer, arranger and interpreter in several tracks from the record "Cuando canta el corazón" and "Tangos para fin de Siglo", accompanying the tango singer, Isabel Mendoza. He has also worked in different cities in Argentina, accompanying Cacho Castaña (tango), Jorge Marziali (folklore) and "Opus Cuatro" among others. In 2001, he cut his first CD as a solist: "Tango de Aquellos.” In 2001 he started a tango duo, with Claudio Méndez, with whom he has just edited a new CD, called "TANGO NUESTRO". is appearing in her first show with MTG. She is very thankful to her mother for making her aware of the theatre. She is very happy to be in the show and hopes to do more acting in the future with MTG. es estudiante de Portland State University, esta es su primera producción teatral, aparte de su escuela dedica su tiempo a su familia y el trabajo comunitario. Es voluntaria y miembro de la mesa directiva de KBOO, además forma parte de MECHA (Movimiento Chicano de Aztlan). is in the 8th grade and goes to Sylvan Middle School. This is her first out of school play. She has a goldfish named Sam and a dog named Bingo. Her family consists of vie people: Her mother, father, her two younger brothers and her older brother. If she is not rehearsing, she is at home or out with her friends. Oh yeah, and she loves pizza. is a Colombian and Puerto Rican playwright from Paterson, NJ. After graduating from Vassar College, she moved to NYC to work in publishing and later left to travel around Colombia. Upon her return, she moved to Portland where she is now a proud member of PDX Playwrights, a featured writer in the Fertile Ground Festival, and a volunteer for Portland Center Stage. Julianna Gonzalez es una dramaturga colombiana y puertorriqueña de Paterson, NJ. Después de graduarse de Vassar College, se mudó a Nueva York para trabajar en la industria editorial y luego viajó a Colombia. Al regresar, se mudó a Portland donde es una orgullosa miembro de PDX Playwrights, su trabajo ha aparecido en el Fertile Ground Festival, y también trabaja como voluntaria para Portland Center Stage. and Dañel Malán founded the Miracle Theatre Group, a.k.a. Milagro, in 1985. In addition to all the duties of Executive Director, he often lends his talents and training in scenic design to many Milagro productions. He also performs from time to time as well, having last played Tiresias in the award-winning Oedipus El Rey. "It has been quite an experience working for the Miracle Theatre, especially since my son is the boss. But since then I've enjoyed being able to do what I thought I couldn't do." is originally from Saginaw, MI. She has lived in the Portland area for four years. She is a graduate of Saginaw Valley University with a major in Spanish and Art and a minor in Theatre. Osvaldo “Ozzie” González moved to Portland in 2008 to work in architecture and found acting more lucrative at the time. His most recent work includes Miguel in the Portland premier of Richard Montoya’s American Night and Creon in Luis Alfaro’s acclaimed Oedipus, El Rey (Milagro Theater). Other credits include, Viva la Revolucion! (Manuel), A Midsummer Night’s Dream (Bottom), and A Christmas Carol (Scrooge). Ozzie has also performed as guest storyteller with Urban Tellers and is known to join an occasional open mic to drop boleros on unsuspecting crowds. has been a Portlander since 1987. He was born in Guadalajara, Mexico. In 1990 he appeared on stage for the first time at the Lakewood Center for the Arts production of Joseph and the Amazing Technicolor Dreamcoat. After closing the show, Ignacio went on a ten month journey through Spain, Italy and Mexico to work on several literature projects. Ignacio has a degree in Psychology and works in the Portland metropolitan area as a Childcare Specialist. He is also currently enrolled at Portland State University in the Community Counseling Graduate Program. is very pleased to be working for Milagro again. He most recently performed for the Working Theater Collective in Houstatlantavegas/Peekaboo. Some previous credits include (Quick & Dirty Art Project, 2010, Dramaturg/Husband), The Last Days of Judas Iscariot (PSU/TASO, 2011, Dramaturg/El-Fayoumi), and Mariela in the Desert (Miracle Theatre Group, 2007, Dramaturg). holds a BA in poetry and studied acting at Northwester University in Chicago. He has also studied Art History in Madrid, Spain. As a development assistant at Miracle Theatre Group, Andrew sends his thanks to everyone for supporting his first season with the theatre. started fencing when he was twelve. He has been fight master for The Fantastiks and Romeo and Juliet, in which he also played the role of Romeo. He has worked as a stage manager, lighting designer, and set builder. He has lit a video for MTV and worked the '88 Summer Olympics for NBC. heralds from Connecticut where she worked both as an actress and dancer for over six years. In addition to performing throughout the country, this gypsy at heart has also appeared in Mexico. She received her BA in Psychology from Tennessee's Vanderbuilt University and is currently a residential treatment counselor for adolescents. Charles Grant recently performed in Vortex I (Fertile Ground Festival). Other credits include Gospel Blues (Whink Productions), Mamma Mia! (Broadway Rose), A Year With Frog and Toad, And In This Corner: Cassius Clay (Oregon Children's Theatre), and The Contract (Confrontation Theatre). Thanks and love to the cast and crew of Jump, our captain La'Tevin, Milagro & Confrontation Theatres, and to all those in my life who have loved me and gotten me to this point. has been working as a director, choreographer and performer for the last seventeen years. She has been a faculty member of Portland State University, Linfield College, Mt Hood Community College and Clark College. Additionally she has worked with the faculty of Julliard and Ailey Schools. Castillo Gray ahs collaborated with both regional and national artists and her work has been commissioned by art Quake, Bumbershoot, and Ten Pass Dance Series in New York. holds a BFA in Acting and a Master of Theatre Studies in Production and Design from Southern Oregon University. Lydia marks Tony's seventh production and sixth season here at Milagro including Into the Beautiful North, American Night, O! Romeo!, How The Garcia Girls Lost Their Accent, BoomCrackleFly and the Drammy Award winning Oedipus El Rey. Most recently Tony was seen in a number of critically acclaimed roles including Profile Theatre's production of Elliot, A Soldier's Fugue, Defunkt Theatre's production of Hir, and Jewish Theatre Collaborative’ s production of Davita's Harp. Other Portland credits include Equus at Post5, Cymbeline with Anon It Moves, Antony and Cleopatra with Portland Actors Ensemble, King Lear, King John, and Mary Stuart at NWCTC. is thrilled to be returning to Miracle. The circle is complete. This very exciting year began with Yemaya's Belly (Miracle Theater), Most Dangerous Women (Aurora Chorus w/Jan Maher), Thymus Vulgaris (Readers Repertory Theater), Mysteries of the Heart (ART PlayLab). She just finished the summer with Quintessence's FaceReader in the role of Trade. In 2003, after a twelve year break from acting, she graduated from Portland Actors Conservatory where she was seen in Book of Days directed by Don Alder, and A Piece of My Heart directed by Beth Harper. She was also in Well Arts Institute's Wellness III directed by Kate Hawkes. Her previous theater work began in New York City after attending Parsons School of Design. She has appeared in film and television and is credited in the movie "One Trick Pony". She thanks her husband, Vincent, for all his love and support. is happy to return to Portland theatre after a 10-year hiatus, during which he performed regularly on the Mount Hood Railroad Excursion Train. Past favorite roles include Berger in Hair at PCT, Treat in Orphans at ART and The Actor/ young Arthur Kipps in The Woman in Black at Sylvia’s. Will earned his degree in theatre from Oregon State University and is a 1996 graduate of the National Shakespeare Conservatory in New York. came to Portland one year ago. He is virtually unknown and doesn't really mind. Thank you. Ho.Hum. Ok! Philip performed in the Miracle Theatre production of Tango last spring. He has also taught drama in the Oregon City school system and at the Training Ground in Portland. He holds a BFA in Theatre and Dance from Kent State University. is a Portland area playwright who has written to date over 36 scripts, including new translations such as Fuente Ovejuna, and adaptations such as Edward II for Triangle! Productions. His works are often cited for their richness of language and use of unexpected humor. Coho Productions produced his plays Mary Tudor (1999) and Child of Pleasure (2003), and he has contributed to A Grimm Late Night (2000) produced by Spectre Productions. Mr. Gregory is a member of the Dramatist Guild of America. is a native Oregonian who returns after numerous performances elsewhere to make his Portland debut in Lysistrata. began dancing tango 4 years ago in Eugene, Oregon, where he is lovingly known as the local tango prodigy. His 12 years of classical piano studies lends itself to Evan's musicality. He has danced in Buenos Aires and countless cities across the Western states, and has been teaching for the last 2 years in Oregon and Colorado. is 5 years old and lives in Gervais with her two brothers and sister. She loves her pets and loves to dance. She appeared as a mouse in Eugene Ballet's The Nutcracker in 1993.
is 3 years old and lives in Woodburn with her 2 brothers and sister. She loves to act and dance and is an aspiring performer. Heroes and Saints is her Portland premier. is six, and lives in Woodburn with his brother and 2 sisters. He wants to move to Portland and live in a big building. This is his first performance. spends his weekends in his real life, doing military operations for the National Guard. Joe has worked as a model, an actor, and has received many medals for his military accomplishments. This is his first production for the Miracle Theatre. hails from Arizona, where she was Director of Borderlands Theater’s Education Outreach Programs. She recently joined the team of Milagro as the Associate Artistic Director of the touring and arts education programs. With Milagro she directed: Sueños de Fútbol, and El Tesoro/The Treasure (in partnership with Metro Let’s Talk Trash program); and re-mounts of El Niño Diego and Las Aventuras de Don Quixote. Ms. Gunn appeared as an actress in last season’s Cuéntame Coyote. During her time with Borderlands she devised, wrote and directed several of their touring productions, and brought professional theater to small towns, and communities across Southern Arizona. As an actress some of her Borderlands credits include: The Pilot, Grounded, by George Brant (awarded Best Drama MAC award 2013); Alice, Lidless; and Jocasta, Oedipus el Rey. Other credits include: Frida Kahlo, Still Life with Chamber Music Plus; Abby, Fiction for Beowulf Alley (nominated Best Actress MAC award 2006); and her one-woman show Vein, NY. Ms. Gunn has appeared in independent films, bilingual television commercials and the web series, Zhon: The Alien Interviews. would like to thank Miracle Theater and especially Rebecca Martinez for the opportunity to contribute to this production. Cody has previously written a theatrical adaptation of Edgar Allen Poe’s The Cask of Amontillado. His first disciplines are acting and directing, for which Cody earned a Bachelor of Arts at Texas A&M University under the tutelage of Oscár Giner. Memorable highlights of his acting career include Charlie in Speed-the-Plow and Nick Bottom in A Midsummer Night’s Dream. is originally from a Texas border town, Cindy Williams Gutiérrez has spent the second half of her life as a West Coast gypsy - moving from the Bay Area to Seattle, and recently settling in Portland. Milagro on Calle 401K (2002) is her second play commissioned by the Miracle Theater, following her successful debut with El Grincho's El Dorado Escapade! Cindy is also the Artistic Director for the new spoken-word program at the Miracle, ¡Viva la Word!, for which she directed Familia, Food and Fiesta and edited Milagro Press' first chapbook earlier this year. An award-winning poet, Cindy won the 2000 Bart Baxter Performance Poetry Competition sponsored by the Washington Poets Association and has received several honorable mentions for her traditional verse poems. Her work has been published in ZYZZYVA, Chiyo's Corner, PoetsWest and hipfish. In addition to being a writer, Cindy has spent over 20 years as a marketing executive in the hi-tech industry. She is currently principal of Sage Marketing, an adjunct faculty member in the MBA Program at Marylhurst University and a Corporate Sponsor of the Software Association of Oregon. She would like to thank her mother, Elizabeth Gutiérrez Williams, Sandra Rickert and Bob Timmel for their generous dramaturgical assistance with this play. Happy holidays to all! also known as Marcha, was born in Los Angeles and began rapping when he was 10 years old. He has played Portland, Seattle, and L.A. with other revolutionary artists such as Quetzal, 2Mex, Blue Scholars, Olmeca, El Vuh, y Native Guns. 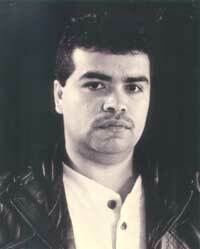 Currently, he is working on his second album, “La Segunda Llegada”. By day, he works with kids, teaching hip-hop as a way of positive self-expression. returns once more to the company of his professional debut (more than two decades and hundreds of performances later). He was most recently seen in El Tesoro/The Treasure and Dance for a Dollar. Other memorable shows from Vicente’s many years at Milagro include Entre Villa y una mujer desnuda, The Shrunken Head of Pancho Villa, Heroes and Saints, and Te llevo en la sangre, and from 1995-98, as resident playwright he wrote 8 plays for the touring company. Other favorite productions include the premiere of Cupid and Psyche (Stark Raving Theatre), ¡Entusiasmo! (Do Jump! ), A Streetcar Named Desire and Take Me Out (Artists Repertory Theatre). 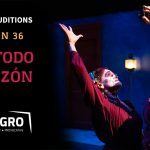 Vicente Guzmán-Orozco vuelve una vez más a la compañía que lo vio hacer su debut como actor profesional (más de dos décadas y centenares de funciones después). Sus más recientes interpretaciones fueron en El Tesoro/The Treasure y Dance for A Dollar. Otras actuaciones memorables en Milagro incluyen Entre Villa y una mujer desnuda, The Shrunken Head of Pancho Villa, Heroes and Saints, y Te llevo en la sangre. Otras de sus producciones predilectas son Cupid and Psyche (Stark Raving Theatre), ¡Entusiasmo! (Do Jump! ), A Streetcar Named Desire y Take Me Out (Artists Repertory Theatre).